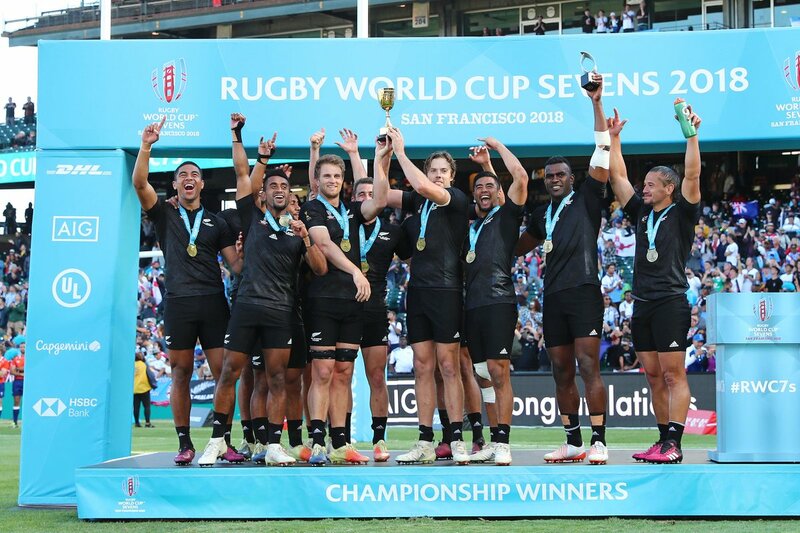 New Zealand have claimed back-to-back Rugby World Cup Sevens titles after they beat England 33-12 at AT&T Park in San Francisco on Sunday. Scores from Sione Molia (2), Joe Ravouvou, Akuila Rokolisoa and Trael Joass saw the All Blacks Sevens follow their Women’s team to glory. The English crossed the try-line through Mike Ellery and Ruaridh McConnochie in defeat.